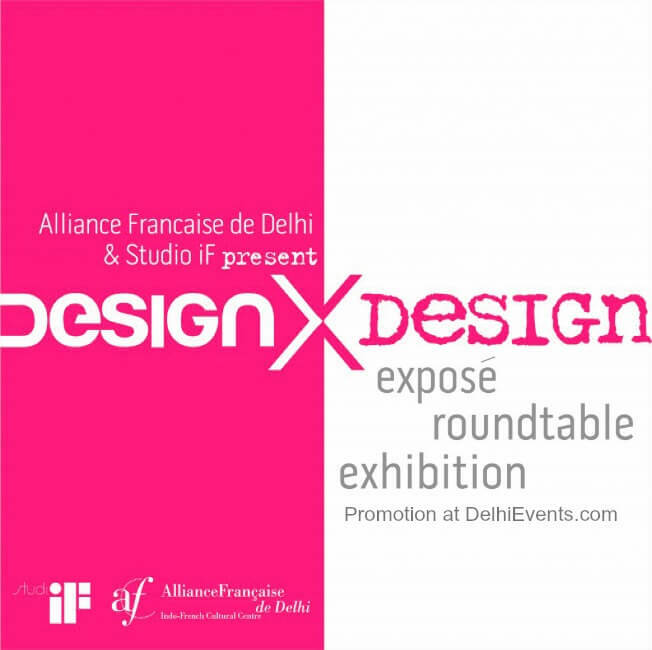 Event Description : Alliance Française de Delhi and Studio IF present "Design X Design Expose"
Design in its many manifestations forms an integral part of every culture. Civilizations evolve and attain their full potential because of it. Design based creative communities in India are witness to a fascinating churning, necessitating a search for a vision that may inform their evolution beyond – spanning education, profession and the industry. Thus, involving exposes, roundtables, exhibitions etc… Design X Design is a step in that direction. The energy behind the design of a pin or a city being the same, this joint initiative of Alliance Francaise de Delhi and Studio IF is also geared towards raising levels of appreciation within and nurturing connections across various creative industries – architecture, urban/ landscape/ interior design, product/ industrial design, textile/ fashion design, graphic/ communication design etc.. Local and global in outlook, it is directed at the initiated and the uninitiated alike.